 Medical Relief International (MRI) is a UK-registered charity specialising in medical aid distribution, treatment and disability support provision worldwide. MRI transforms the lives of the most vulnerable people across the world with a special focus on the plight of women and children in poverty. With vulnerable women and poor children often becoming the chief victims of war and conflicts across the globe, we try to bring out the best in every woman and child inflicted by hardship. Whether the issue they are facing is child poverty, disability or medical treatment, MRI is there working on poverty alleviation wherever we find it. Thank you for making an online fundraising donation(s) to Medical Relief International and choosing us as your charity of choice. If you have any issues displaying the above donation form on your device, please click here to donate.